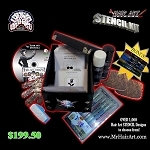 The Stencils in this Kit are Regular Size Only (4 to 4 1/2 inches). The Super Kit, it is full of goodies! Make sure you watch both DVDs in the kit. Those instructionals are very helpful. When using the Stencils and the White Spray, make sure to shake the can very well and spray in short bursts about 6 inches from the hair. 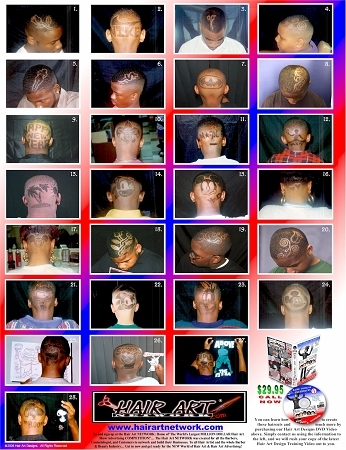 A can does about 50 designs when used correctly. Avoid spraying continuously because then it will run and waste your product. Once you spray, it will dry quickly like a powder on the hair for you to trace out with your Hair Art Clippers which are also in the Super Kit. This is a special spray so it won't gunk up your clippers while cutting. Definitely color your designs to give your customers added value for the design cut and to add to your profit line with the add on charge for the coloring. They may even come back a few days later to get it re-colored or touched up and that allows you to charge a small add on charge for that as well. Typically the coloring and glitters last for one day because the colors are soft to color the hair and may rub off onto a pillowcase when trying to keep the design overnight. Spray some spritz on the colored design to help keep it possibly longer than one day. Use the Practice Training Cowhide Pads on the Inflatable Head to get the hang of spraying and cutting using the stencils. You can also use the cowhides to create sample designs of your skills in design cutting that you can frame in the picture frames that also come in your kit. 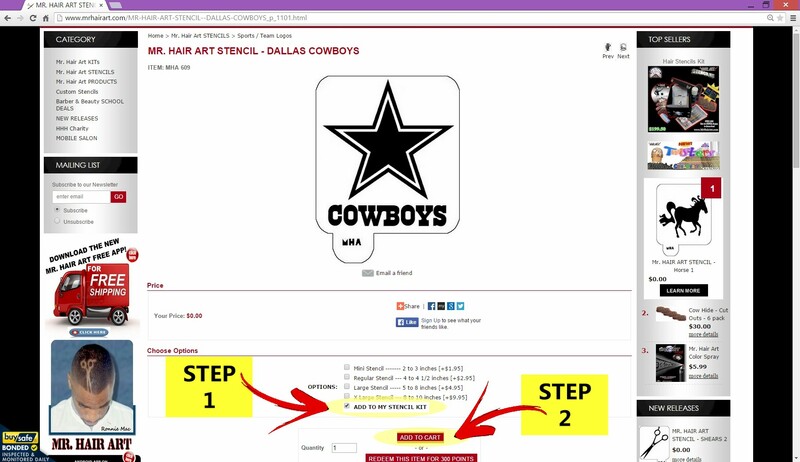 Hang them up to show your customers because they will place more value in your skill when they see it in the cowhide, more so than in a picture of a design in someone's hair.